I am a massive fan of history, African history to be more specific. Throughout my years growing up, I have spent countless hours reading and learning about the history of my favourite continent in the world, Africa. I am a compulsive researcher on Africa. I always try to learn something new everyday about Africa and I always find myself reading and researching on the continent as if I’m about to sit an exam! lol It is already known that I have a passion for Africa (clearly) and it all started as a child when I read my first book on Kenya’s history. I previously posted a longer story on how I grew to love Africa more and more. Anyway, other than African history, I also love and I mean LOVE wisdom books. It has to be a real good wisdom book though that has pure truth and sense in it before I will go and buy it. 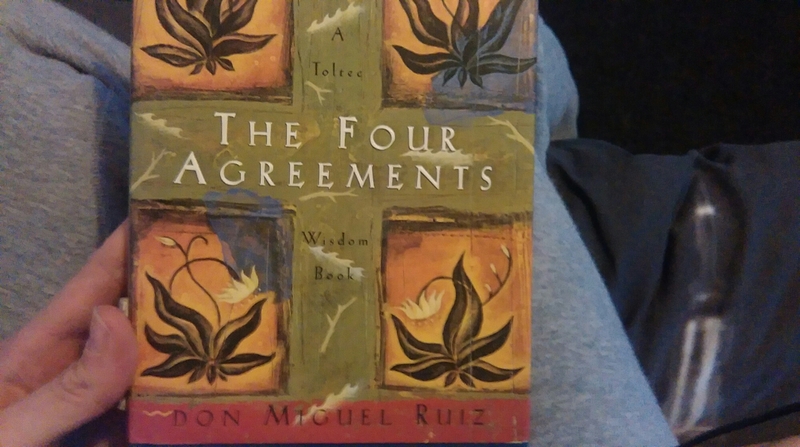 My favourite author to date who writes more specifically about wisdom is Don Miguel Ruiz. If you haven’t heard of him, look him up! His books in a way changed a massive part of my thinking and way of seeing life. So, to begin my top 5 books I will start with number 5. Now number 3, 4 & 5 are just as brilliant as any but I just feel I gained a lot of wisdom from my top 2 books which changed my way of seeing life in a way. 5. 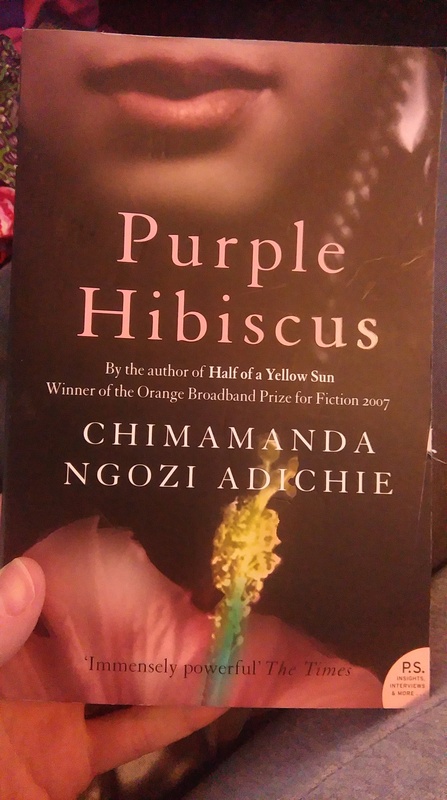 Purple Hibiscus – by Chimamanda Ngozi Adichie. I stumbled across this amazing author online. Her name popped up on suggested books just as I was purchasing a Yoruba book from one of my favourite book store websites. Chimamanda is a Nigerian author & Feminist born in Abba, Anambra State, Nigeria. This book among her many other great books, is a great novel about a 15 year old girl Kambili who lives in fear of her father who is a violent Catholic. The story goes on to tell the tale of how she moves to her aunt’s house with her brother where she discovers some truths about the old God’s and the new, the difference between love and hatred and so on. This book is so detailed and brilliantly written that you almost feel like you are there in the scene. Now, this was not the first book of Chimamanda’s I purchased and it was in fact my number “4” in my top 5 books that I in fact discovered first. 4. 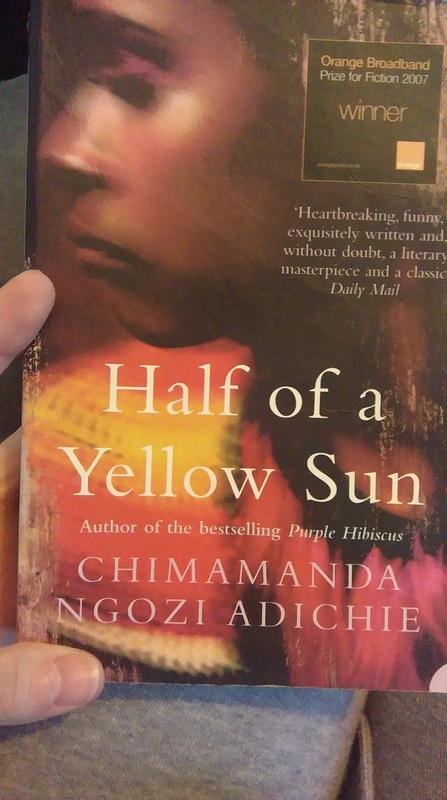 Half of a Yellow Sun – by Chimamanda Ngozi Adichie. Now, this book again, by Chimamanda, was the first I stubbled across. I am still able to see it is by far my favourite book of hers and I am glad it was the first of her many books I read because it caught my attention and made me keen to learn more about the author. A short intro of Half of a Yellow Sun – Set in Nigeria during 1960’s, a story following 3 lives, Ugwu who was a boy from a village and who worked as a houseboy for a university lecture. A young woman Olanna who abandoned her life in Lagos to live with her partner who was a professor and third, an English man namely Richard who is shy and quiet man. During 1960’s Nigeria was blighted by civil war. “When the shocking horror of the war engulfs them, their loyalties are severely tested as they are pulled apart and thrown together in ways none of them imagined…” ~ From the book. I enjoyed this book during a long flight out to Ghana and it was an absolute brilliant read! 3. 12 Years a Slave, A True Story – by Solomon Northup. This book is by far one of my absolute favourite books of all time! Every single page of the book is just outstanding and detailed so well that I could feel the whole scene play out in my mind. 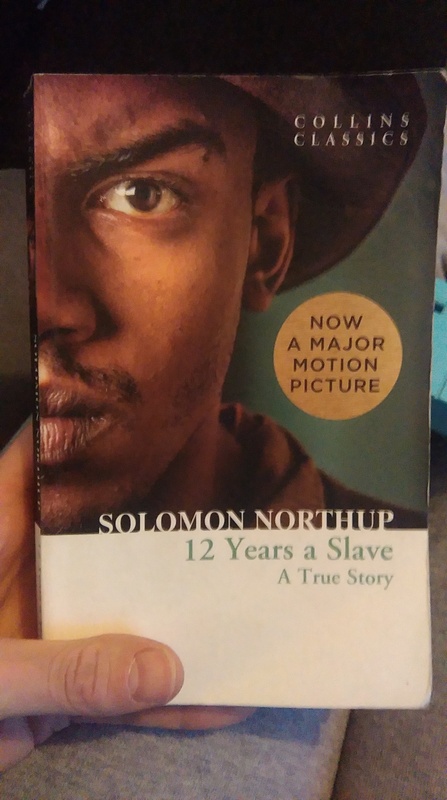 I did a lot of research on Solomon Northup during the years while learning about slavery, one of my biggest interests. I read his stories previously online from an online slavery history website and during a quick stop at the supermarket I stumbled across this “Collins Classic” book of the original story of 12 Years a Slave. I bought it at first thinking maybe it is just a remake of the book and not the true story. Turned out it wasn’t. It was in fact the detailed in-depth story of Solomon Northup. Solomon Northup was a FREE man, who was tricked and kidnapped into slavery by two men who pretended to offer him a great opportunity of playing the violin (as he was a great violinist) professionally as well as offering a daily wage for his services. He was either drugged or spiked because just a day after he set off with the two men, he woke up in a slave pen chained to the cold hard ground. From thereon, the story continues to tell how he was brutally forced into slavery and suffer 12 years of the hellish life of a slave. This book is one of my favourites for many reasons. One, because of the history told in the book, two, the real cold truths of slavery and three, the great detail gone into this wonderful authors story. I personally have to say though, the movie didn’t live up to the book if you ask me. A lot of the books great details were missing from the movie and also a few added fiction scenes there too. still a great movie though! 2. The Four Agreements – Wisdom Book – by Don Miguel Ruiz. I knew that this book is going to be brilliant because the person I borrowed it from has great wisdom and I knew that he never reads nonsense. I was completely hooked on the book right from the start! It got me thinking in a whole other way I’ve never thought before! This book teaches 4 very important things that we need to be taught. 1. Be impeccable with your word – say only what you mean, avoid gossiping, use the power of your word in the direction of truth and love. 2. Don’t take anything personal – Nothing others do is because of you. What others say and do is a reflection of their own reality. When you are immune to the opinions and actions of others, you won’t be the victim of needless suffering. 3. Don’t make assumptions – ask questions and don’t assume. Communicate clearly to avoid dramas, sadness or misunderstandings. And 4. Always do your best – under any circumstance, always do your best and you will avoid self-judgement, self- abuse and self-regret. Believe me when I say this book changed me in more than one way. I say changed, well, what I really mean is that it made me see life clearly and things started to make prefect sense. The dramas, sadness and self-judgement in my life changed because I learned how to change my mind and think in a whole other way to avoid these problems. HIGHLY recommend this book to anyone who is really ready to become a positive, freeminded happy person from within. I promise you it is worth the read. 1. 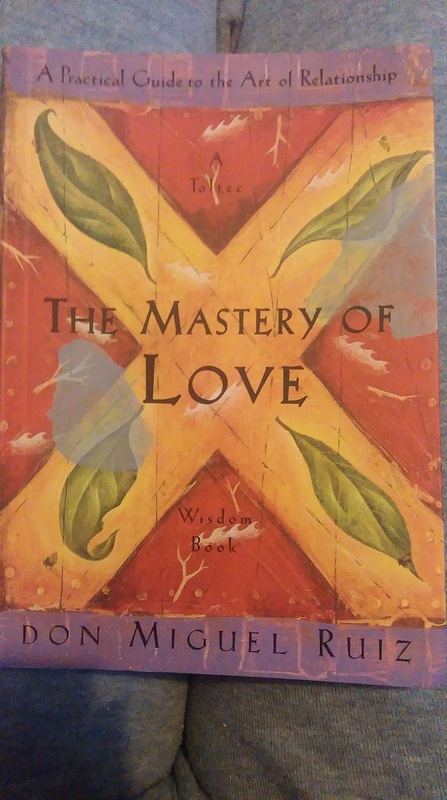 The Mastery of Love – by Don Miguel Ruiz. “Don Miguel Ruiz illuminates the fear-based beliefs and assumptions that undermine love and lead to suffering and drama in our relationships. Don Miguel shows us how to heal our emotional wounds, recover the freedom and joy that our birthright, and restore the spirit of playfulness that is vital to loving relationships.” ~ From the book. One of my favourite chapter’s in the book was “The Magical Kitchen” now, this chapter was long so let me break it down in my words and highlight the message behind it. If we see our heart as a magical kitchen, in which has all the food you can ever dream of, should someone come to your door and say “I will give you free pizza everyday if you just let me control your life”, the first thing we will say is no thank you, I have all the food I need already here with me. Then let’s say one day that magical kitchen becomes empty, we have no food left, we haven’t ate in days and we become desperate for food. The same person from before comes back to your door and offers you free pizza if you let them control you. We will accept the pizza all because we are desperate for food. Now let’s say this kitchen is your heart. If your heart is already filled with self love and self respect, no one can come and offer you what you already have inside you. If you don’t have self love and self respect in your heart, just like that empty kitchen, you will become desperate and accept in any attention and “so called love” from anyone even if it means being controlled by them. This really truely touched me and woke me up to fully realise that I have love in my already. This book taught me that love is not something we take from another it is rather what we already have inside us and its just a matter or recognizing that and believing in ourselves. This book taught me that we have to fully love ourselves and accept ourselves as we are in order to accept others too just as they are without conditions, without fear and without expectations. This book made me realise what love truely is. Anyone who struggles with understanding love, then definitely read this book and I promise you that you will really see that all the things you thought was love, really isn’t. You will see the real true meaning of love and it will make you see everything in a whole new wonderful light 🙂 after reading this book I felt so wonderful. We all have it in us and these kind of books are just reminders! This entry was posted in Africa, Nigeria, Slavery and tagged Africa, African History, DonMiguel, History, Nigeria. Bookmark the permalink. Read Chimamanda’s The Thing Around Your Neck. Amazing collection of short stories. That might be my line. I was searching for how to cook efo with egusi then I stumbled on your blog. I followed the steps and I can tell you that it was delicious. So decided to run through the blog and was surprised to see this article. Whao!!! I must say, I enjoyed the review of these books that I have started looking for where to get them. You are really an impressive writer. Oh, great! Thank you very much 🙂 Glad you enjoyed it!